A fascinating and easily accessible insight into the differences between organic and non-organic food quality. This landmark book redefines the nature of the debate concerning food quality. Revolutionary use of high quality magnifications of over 50 organic and nonorganic foodstuffs makes the comparison between the two instantly clear. The visual evidence is compelling to readers of all ages and levels of interest and expertise. Children, gardeners, farmers, parents and anyone interested in nutritional quality will find this book compelling and informative, as well as a beautiful addition to their library. 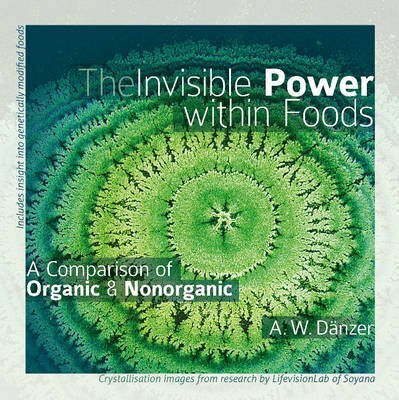 Alongside the exquisite images are explanations from the author, who encourages the growth and consumption of organic foodstuffs as beneficial to health and vitality. The striking differences in the photographic comparisons are presented to encourage readers to reassess the effects of their life choices concerning culinary options and nutritional well-being.